I love all the ideas out there about how to be an amazing parent. It’s hard not to gobble every one of them up in an effort give my kids a picture-perfect start in life, complete with Pinterest-worthy crafts, clever snacks, and days brimming with lovingly-curated learning activities. Since giving birth to twins five years ago, I’ve mostly managed to get over my unrealistic body image expectations. The un-photoshopped photos of supermodels that have been cropping up lately have definitely helped. What I’m slower to get over is comparing my life with impossibly staged vignettes of perfect motherhood. You know what I’m talking about, right? The gorgeous birthday party tablescapes, the perfectly organized playrooms, the kids’ crafts that never flop…. It’s too bad real life doesn’t have an Edit button. Wouldn’t it be great if you could just crop out the tantrums and the sticky fingers? The thing is, you can’t edit real life. You either have to drive yourself crazy striving for perfection, or develop the wisdom to recognize what is good enough. I struggle with this. If it takes me ten minutes to get to 90% of perfect, it might take me an hour to get to 98%, and who-knows-how-long to achieve 100%. When your kids see you agonizing over perfection, you are modeling perfectionism to them. So I’ve started trying to be a better model. And that is making me a more perfect mom. I asked my 8 year old if he knew what perfectionism meant. He told me it was “doing the best job that you can.” What I still need to teach him (and myself) is recognizing when we’ve reached that point. P.S. I think this post is too short. But I think it’s 98% there (humor me), so I’m done, and taking the kids for a bike ride. My recent post was about forgiving myself for not being able to do it all. I worry about the example I'm setting for my son. Sure, cleaning is important, but so is being relaxed! This seems to be a common thread in our culture right now, doesn't it. I hope we can both give ourselves a break! I agree with you completely! A good thing to remind ourselves – especially the part where we are modeling perfectionism for our children. I think sometimes we are okay with being harsh on ourselves, but are more likely to change when it can hurt our children. Thanks for sharing this insightful post.Striving for perfection is a hard habit to break. But let me tell you from the perspective of an almost grandma that the fun times my daughter talks about are not the perfect birthday parties or the perfect vacation but the times we went thro hard things TOGETHER or the time the dog jumped on the table and ate the birthday cake. Your kids will remember the love and laughter not the perfect things. Blessings !! Thanks for the grandma perspective! I shared this one G+. I found you on Thoughtful Thursdays linkup. I feel like a perfect mom when I go outside my comfort zone… when I fill out the qualities that I'm weak in. And it doesn't happen often enough. But- I go at it with the same vigor every morning anew. That's all we can ever really do. Keep plugging away~ Blessings. Thanks for sharing! That's interesting to think of expanding ourselves personally as setting a good example. I find it motivating. Thanks for your insight. Hi I'm just stopping by from the Shine Blog Hop! I have to constantly remind myself that I can do ANYTHING but I can't do EVERYTHING. The type A in me has to remember that it isn't worth it to try and be superMOM every. single. day. Thank you for joining the Small victories Linkup. Please join again. Thanks for sharing with us at Pin-Worthy Wednesday! I think we can all relate to this on some level. Love your PS. I need to work on recognizing the limit of good enough. I'm a busy go go person with a OCD and perfectionist tendencies as it is without adding motherhood and social media to the mix, but I think I'm getting better at being in the present of now and letting go. Your post is lovely :). And your writing skills are great. Thanks for linking at Bloggers Brags Pinterest Party! 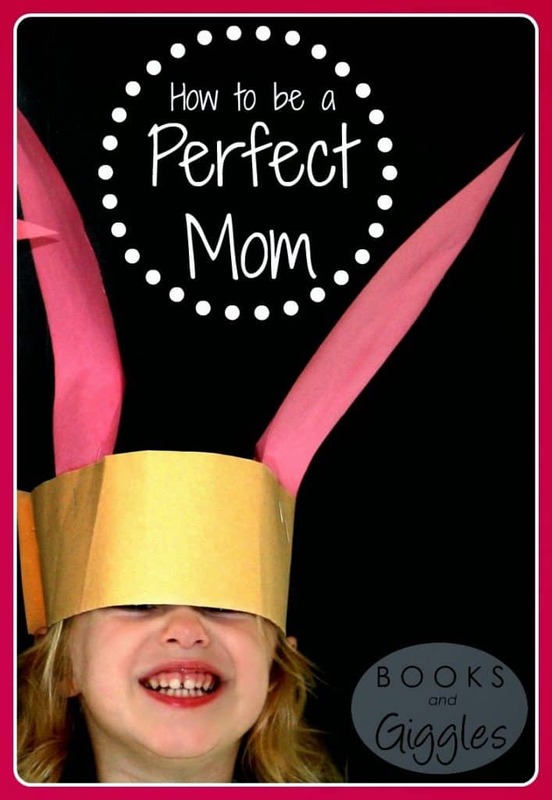 For many of us moms it is a constant effort to NOT be perfect all the time. I think perfectionism can take away our joy. Great post! Thanks for linking up at the Thoughtful Spot Weekly Blog Hop! We hope you join us again next week! I agree with Angela; love the PS. I totally agree with you. With Pinterest and other social media it's hard not to be bombarded with perfectionism all the time.